I’ve had glasses since I was six years old. This is the sentence that I always preface every eye care conversation that I have. Glasses have been apart of my life for as long as I can remember and in many ways, they defined so many of my life experiences. As a kid, my large, “coke bottle” glasses were one of the first things other kids noticed about me. A friend who has known me since second grade often references the glasses I wore 30 years ago. In 8th grade when I wore contacts for the first time, a “friend” criticized my new appearance and my choice of eye makeup. Commenting, “did I think I was better than everyone else without my glasses”. I didn’t wear contacts again for almost 2 years. I learned to be embarrassed by my glasses and once in high school I only wore contacts. I hated for anyone to see me in my glasses. I remember dreading sleepovers or days when I couldn’t wear my contacts. It was years into dating before I wore my glasses around my husband. Last year I finally got glasses that I really liked and felt comfortable wearing. Truthfully with a new baby and sleepless nights my eyes just weren’t tolerating contacts the way they used to. 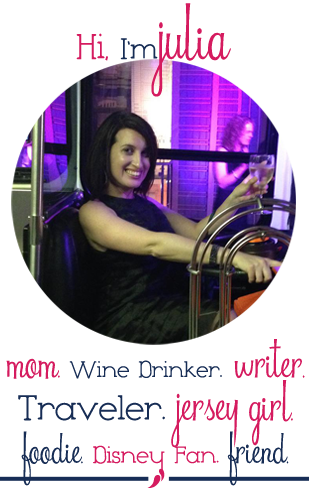 And being in my mid-thirties I was confident in who I was. My vision in glasses hasn’t been the best due to a high prescription and I’ve never been comfortable driving in glasses. 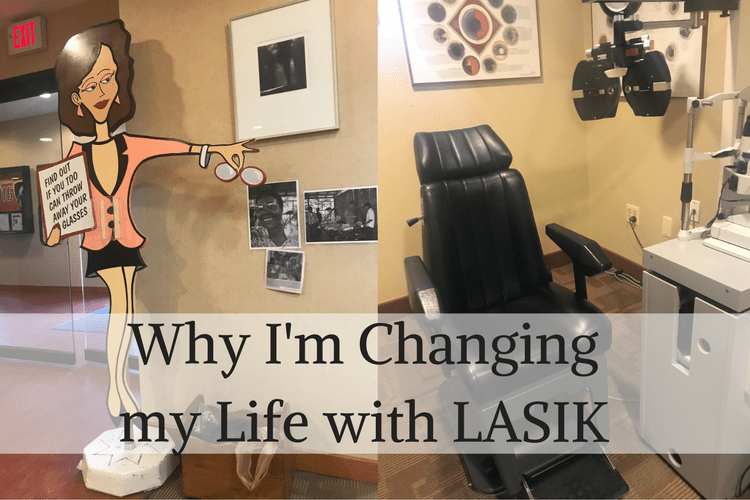 I had gone through testing for LASIK approximately 3 times with my local eye doctor and I knew I was a candidate but only in the past year had I seriously started thinking about doing it. I had always hesitated because it’s my eyes, and I only wanted to trust my eyes to the best doctor possible. 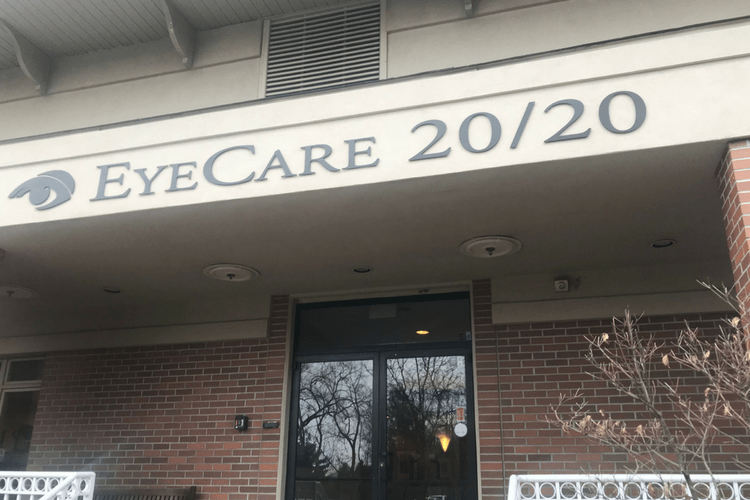 When EyeCare 20/20, reached out to me about seeing Dr. Cary Silverman for a LASIK consultation, it felt like a sign that now was the time to get LASIK. 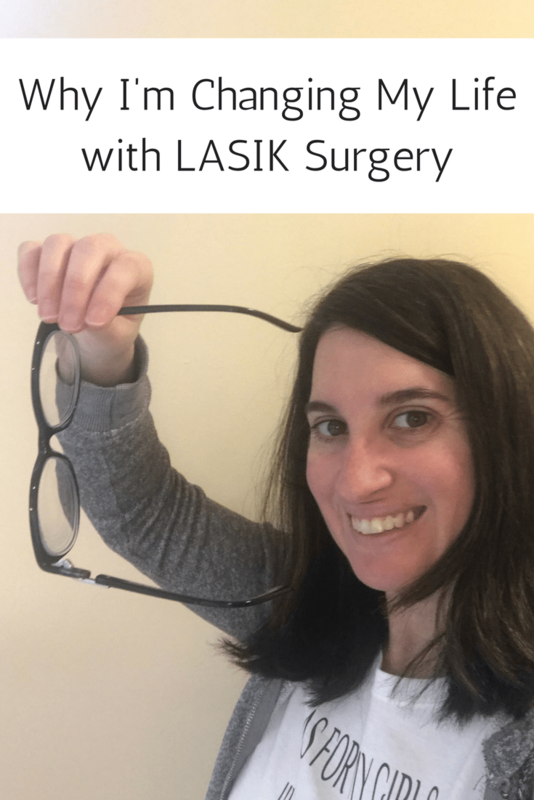 Having been through the testing to see if I was a candidate for LASIK Surgery I thought I was pretty familiar with what was going to happen. I arrived at EyeCare 20/20 where I filled out some paperwork and waited for my appointment. The waiting room has a TV and a Keurig coffee maker, making it a comfortable and welcoming place. The staff was really helpful and when I was called for my appointment I liked that I had one technician who stayed with me through the testing rather than seeing various people. She walked me through a series of tests that was definitely more extensive than any previous testing that I had done. She even repeated a test after the Dr. Silverman requested that she verify the results. I felt like I was in good hands. After the testing, I met with Dr. Silverman to discuss if I was a candidate for LASIK. He told me that I was a candidate and went through the procedure. To my surprise, the whole thing would be over in 10 minutes and by the next day, I would be able to go about my “normal” life without glasses or contacts. Dr. Silverman answered all of my questions, including the often asked question about night vision after LASIK. Dr. Silverman was the first eye doctor to tell me that my night vision is probably poor now due to my high prescription. I was honestly in awe because it was the first time a doctor had told me that. He told me that my night vision would improve over time after LASIK and would eventually be better than it is now. Dr. Silverman and the staff at EyeCare 20/20 really impressed me. The office was clean, friendly and has state of the art equipment that my regular eye doctor did not have. Dr. Silverman also has a reputation for being the “Pioneer of LASIK” and when it comes to my eyes I really only want the best person operating on them. Dr. Silverman easily assured me about the procedure and made me feel like there was no reason not to get LASIK. I am scheduled to have my LASIK procedure this Friday. Am I nervous? Yes, but not nearly as nervous as I expected. For me, the hardest part is coordinating kids schedules and mine and my husbands work schedule to make this all happen. At my consultation appointment, I asked Dr. Silverman all of my questions including the one about night vision but also about what the procedure is like, what the timeline for recovery is; two weeks no swimming, three months no rubbing your eyes and waking up the next day with improved vision. He said that my eyes would progressively improve as they heal and that I would come back the day after the surgery and one day the week after to have my eyes checked. Over dinner last weekend I told a friend that I was going to get LASIK surgery and she said, “this is going to change your whole life”. I had not thought about it that way but she is right. I didn’t realize how much of my life revolves around my contacts and glasses. How I make decisions based on whether I’ve taken my contacts out (Sorry I can’t come out I’ve already put my glasses on). Or the amount of time I spend putting my contacts in, in the morning. Or that I always take my glasses off before I kiss my husband because they get in the way. Or that I won’t have to worry about Grace yanking them off my face. LASIK surgery is going to change my life and I can not wait to see. You can learn more about LASIK Surgery, EyeCare 20/20 and Dr. Silverman by visiting EyeCare 2020. You can also follow them on Twitter, Facebook and Instagram. This is a sponsored post on behalf of EyeCare 20/20 who is providing me with LASIK Eye Surgery, all thoughts and opinions are my own.